This instant start LED T5 by Topstar as a great replacement for existing linear fluorescent fixtures. 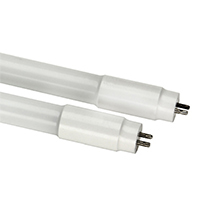 Its intensity of light and light distribution makes this T5 LED light a superior choice to fluorescent lamps. The lamp features a frosted lens, and contains no mercury. The plug and play design allows for quick and easy installation of this LED T5. You will receive 3,500 lumens of light output from only 24 watts. This LED light is not for use on 4 lamp T5HO ballast. It is designed to work on 2 lamp T5HO ballast. This item is both UL and DLC listed, and comes with a 5 year warranty.